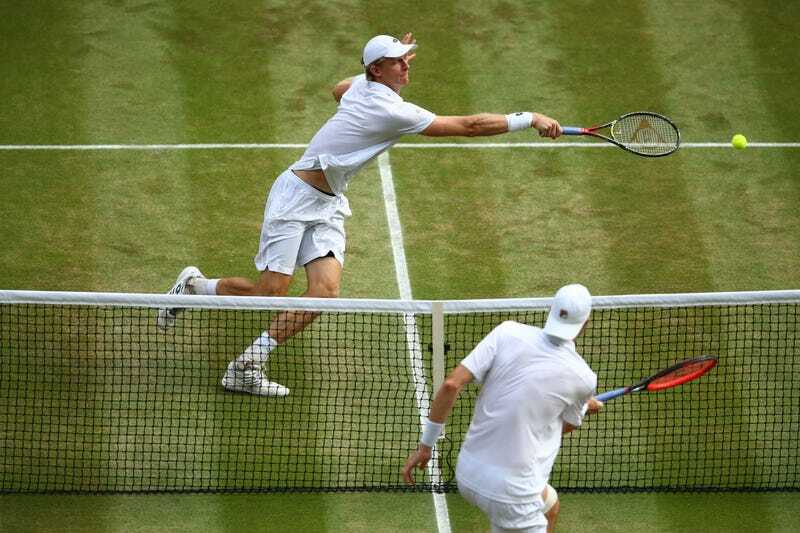 It would be difficult to endorse the ongoing John Isner vs. Kevin Anderson Wimbledon semifinal as a sports-viewing experience, per se—maybe more as a masochistic endurance sport. It’s been over four-and-a-half hours. Serves are big. Points are short. When they are not, they are not exactly ... good, either. There are aces. There are tiebreaks. Of course there would be tiebreaks. The breakers at least offered some short-format thrills, but now we are trapped in the fifth and final set, where noble Wimbledon does not offer the sweet mercy of a tiebreak. It’s 8-8 at time of writing. Gather yourself for a 28-26 “epic.” It’s not like there’s anything cool waiting in the wings, or anything. Take your time.